Aurora, OH: Video Products Inc (VPI) is now offering an HDMI Cable Tester that can check standard HDMI (Type A), Mini HDMI (Type C) and standard to mini HDMI cables for continuity, shorts, and mis-wires. 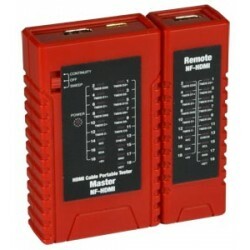 The TESTER-CABLE-HD is a portable HDMI Cable Tester that comes with a local and remote unit. Simply connect one end of the HDMI cable to the local unit and the other end to the remote unit to check for continuity, shorts, and mis-wires. 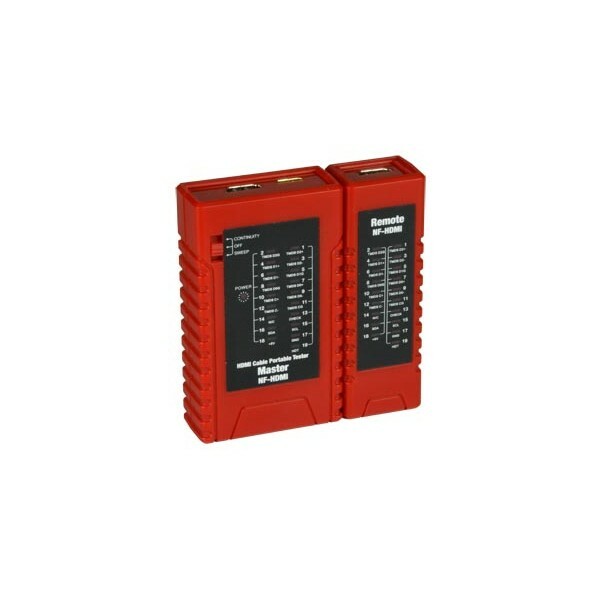 The unit features a power-on indicator on the local unit, and visible LEDs for pins 1 through 19 on both local and remote units for easy identification of issues. One person can check both ends of installed wiring by detaching the remote unit. The tester can check Type A (standard), Type C (mini), and Type A to Type C HDMI cables. Both local and remote units feature one female HDMI Type A connector and one female HDMI Type C connector. Compatible with HDMI v1.2, v1.3, and v1.4, the tester covers a comprehensive selection of cables. Compact and lightweight, the local unit has dimensions of 2.36x1.06x4.06 inches, and the remote unit measures 1.34x1.06x4.06 inches. Available for immediate sale, the TESTER-CABLE-HD costs $53.